Valet testimonials - Auto Reconditioning - Porsche. "Before using Clean Image services, I thought I'd take a drive down there and suss the place out. The place did not come across as state-of-of-the-art but then I did not know what to expect. Taking a quick look around there was a Jaguar which had been finished, I felt a bit more at ease because it looked brand new. I met Gary who was very approachable, he answered all my questions concerning paintwork correction and what sort of valet I would need to put the car right. Gary was confident that Clean Image could make the car look a lot better (I thought, yeah alright we will see). Anyway after a little chat I booked the car in. There was a small delay as I wanted the paint correction done by Willy who is only in the country a few time a year. I delivered the car and I met Mark who went through with me what valet service I wanted. This was a nice approach as you priced what you wanted doing to the inside of the car without being pressured. My wheels were in a bit of a state and it was suggested to have them refurbished. I said "Only if I can get them done by the time the car was ready for collection". Mark was very helpful in this department. Clean Image had the car for five days due to the wheel having to be finished and it was well worth the wait. I have hear of gorgeous, drop dead gorgeous and jaw dropping. I have never seen any of them until I went and collected my car. No doubt my days with the high street valet valet is over. I would definitely recommend Clean Image. " See more photos of this car here. 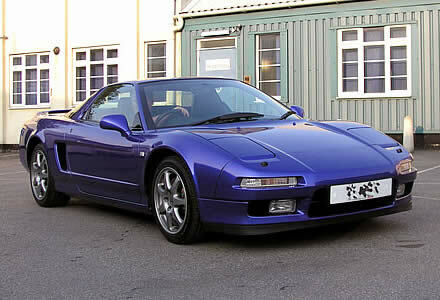 "It was with some trepidation that I handed over the keys to my NSX - I had owned it just 3 days at the time - for 'paint correction'. The car is about 5 years old and the paintwork badly 'swirled'. I was fortunate that Willy was making one of his occasional visits from Sweden and had offered to polish my car. Mark was in overall charge of the work which also included an interior Odour Kill as a previous owner had smoked in the car. I was both impressed and reassured by the amount of time that Willy, Mark, Danny and Gary spent talking to me and answering my questions. I am delighted with my car - the paintwork is now in a condition I can look after and take pride in. I would recommend the good people without hesitation." "Excellent service at relatively short notice, particularly as I was late arriving. Great bunch of people, very friendly and helpful. Well worth the long journey. Complimentary lunch was very nice and conveniently located. This was the second vehicle you have Diamondbrited for me and I would have no hesitation in recommending both Jewelultra Diamondbrite and Clean Image's service to anybody. It is rare to get outstanding service these days. Well done Clean Image." "Another excellent job, the car looked good before despite 15.5 years since the last time it was treated with Diamondbrite and no polish since. Retreating the car had removed the inevitable minor marks that 15.5 years and 80,000 miles had created leaving a as new mirror finish. Removing the annoying dents on the bonnet (which have been there since 1994!) have definitely improved the car. If any any suicidal pheasants throw themselves at the car again I know where to come. Thank you for an excellent reseal which is well worth the near 400 mile round trip. " Just 33 minutes from Basildon! "Clean Image did a great job sorting out my scuffed alloy wheel. It's now looking like new again. " "Firstly, the only reason that compelled me to drive all the way to Essex was the detailed and informative web site. Despite the Lifeshine application being longer than I expected, the town of Chelmsford had a very relaxing environment with cafes, riverside walks and parks. The service was excellent, the car looked good. 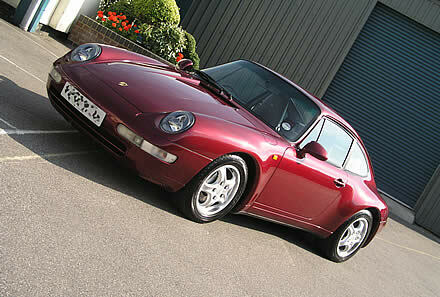 Only time will tell the value of the AutoGlym product." "The treatment I received on the day was very good. 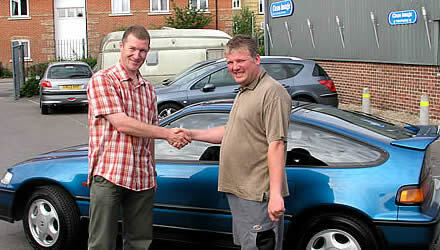 Mark was extremely helpful, friendly and professional. He even tried to help me out on an unrelated matter (steering wheel!) Which was above and beyond the call of duty. The work it's self is to a good standard also. My only suggestion would be to get a receptionist or train the guys in phone manner. The couple of times I called prior to booking, the quality of phone handling did you no favours!" Response: We are well aware of this problem - and this problem has now been told to go and find employment elsewhere. In fact, I think I can say that he was serving out his notice at the time you would have talked to him. I'm sorry to say that you were not the only person to comment (see below) - and I cringe to think of the people who didn't comment or complain. I can only offer our sincere apologies to all our customers and assure you that all our current staff members understand and share our company's commitment to customer service. "Overall, I was pleased with the result - the car is now substantially more pleasing to the eye. One minor negative point - the final finishing left five small areas where the wax/cleaner hadn't been completely removed - door mirror, roof, window upright, cigarette lighter, interior windscreen." Response: You are quite right to pull us up on these bits. As you can see from the testimony above we have had a minor staff problem for a couple of weeks. I believe that your car was valeted by a trainee, but should have been checked and finished by a more senior member of staff. Obviously this was not done, and for that I appologize. "I was very impressed with the friendliness of everyone I spoke with. Your attitude towards giving your customers just what they need really inspires confidence. Mark helped me to understand just what I needed doing and quality of the results was excellent. My car was appraised fro part-exchange today and the dealer couldn't believe the car was as old as it was. Only one small thing - probably because it was raining but some grubby finger marks on the door handles. Thats the only reason I can't give 100%. Response: This is the third testimony in a row with a 'but', so you should be getting the picture now. Yes, our standards did slip for a while. Unfortunately, when you have one guy dragging his heels, everybody else has to work twice as hard to take up the slack, and with everybody having to work flat out, we lost a little of our edge. Obviously, nobody is perfect 100% of the time, I can't promise that we will never have another grubby finger mark incident - but frankly, if thats the worst of our problems, I'll be a very happy man! (We have scheduled our next two training session to cover 'telephone enquiries' and final detailing and checking work). But remember we do have a "Free Valet if it rains" offer, so customers (who aren't part-exchanging their car) can bring it back and we will restore it to a freshly valeted condition!